Braniff One's last livery was the "ultra" scheme. 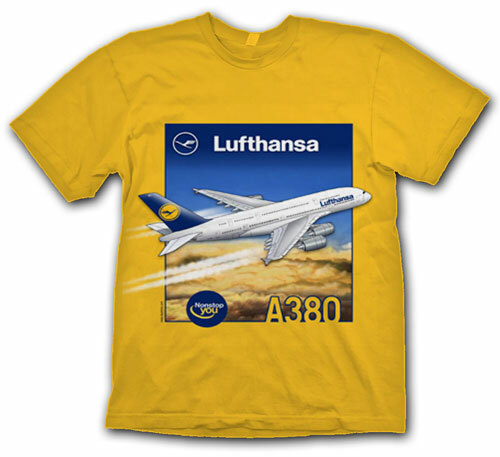 We have a front-print shirt with profiles of five different shades on the 727, each with the correct registration! This is on an ash shirt with "Braniff Gets You There With Flying Colors" very small repeated over and over as a background on an ash shirt. This has been a best-selling shirt for some time! On a 100% cotton heavyweight shirt.